Mobile phones come in handy if you're looking for a restaurant in some place you're not quite familiar with. 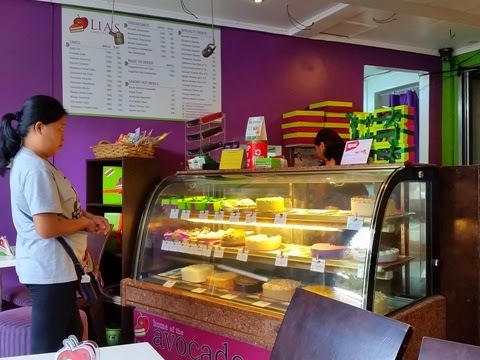 So upon searching for "desserts in Kapitolyo", a number of establishments have popped into my screen but there's one particular commonality on the various desserts in Lia's Cakes in Season that intrigued my curious mind and taste buds -- Avocado! 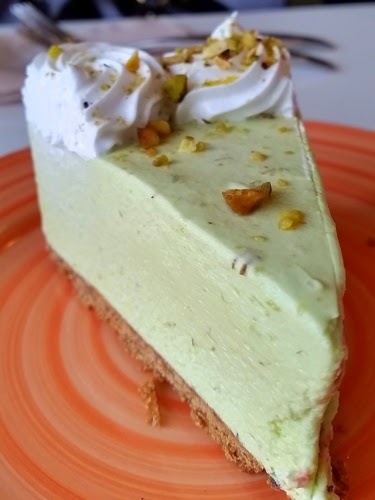 While I like my Avocado in the blended form with extra chunks, Lia's Avocado Cheesecake was a refreshing take on the famous sweet treat. 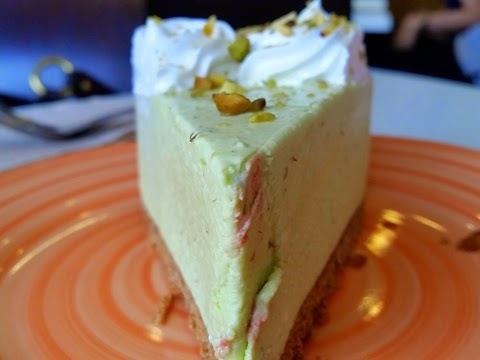 It may not topple Uno's version on my list of the Top Cheesecakes in the Metro in terms of consistency and perfect amount of sweetness, the thought of having an Avocado-flavored cake all year round certainly brings joy to my sweet tooth.